Like a slingshot, fling the 9. 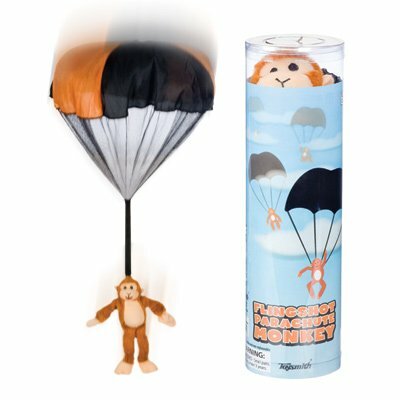 5 inch monkey into the air and listen to him scream! When the chute deploys, he will float back to earth. Product Dim. : Height: 2" Length: 5" Depth: 6"
Package: Height: 2.4" Length: 8.8" Width: 2.5"